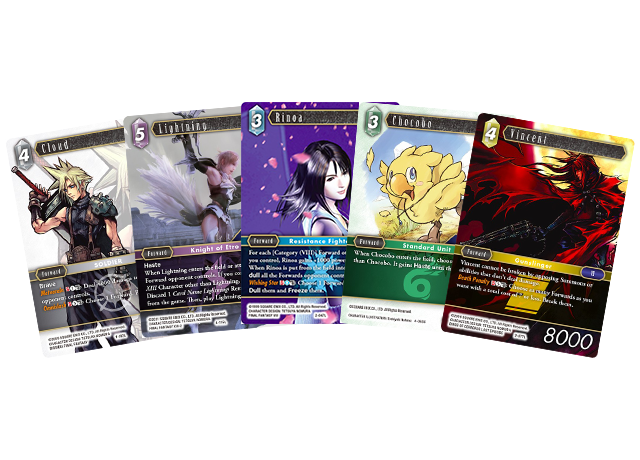 The FINAL FANTASY TRADING CARD GAME is a tabletop trading card game enjoyed by players all around the world, featuring characters and monsters from the FINAL FANTASY series. 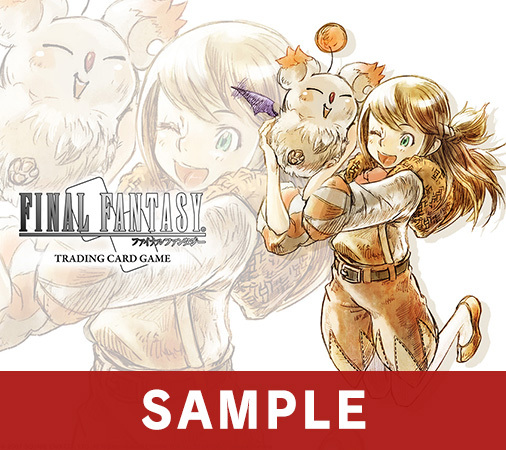 Some cards are decorated with familiar art, and others with FFTCG-original illustrations! We’ll be showcasing these original illustrations along with artist interviews. Some of the art will even be available as wallpaper from the FF Portal App! 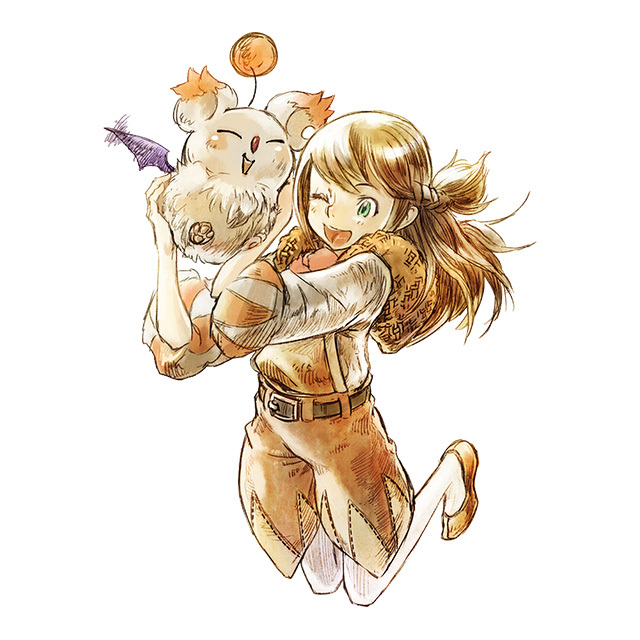 We talked to Toshiyuki Itahana, an artist from SQEX who provided illustrations of FINAL FANTASY mascots and characters from FINAL FANTASY CRYSTAL CHRONICLES: Ring of Fates. Notable work includes titles such as FINAL FANTASY IX, Chocobo’s Mysterious Dungeon, and FINAL FANTASY CRYSTAL CHRONICLES. More recently character designer for mobile title MOBIUS FINAL FANTASY. 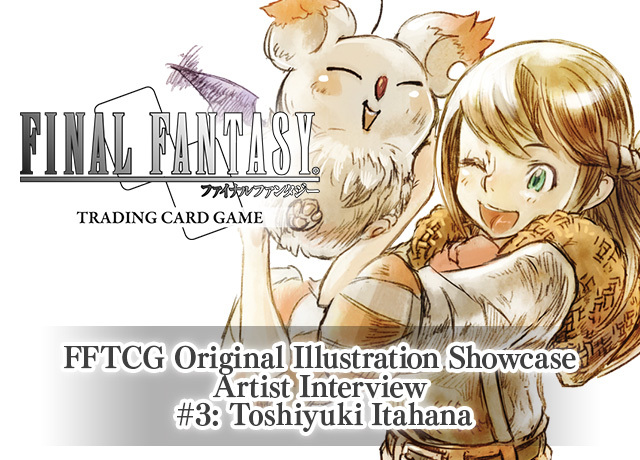 ―You must have a lot of opportunities to draw chocobos and moogles, but what was the concept behind the FFTCG illustrations? Itahana: I have drawn a lot of chocobos and moogles, but mainly for promotional use. I haven’t had many opportunities to draw them as standalone illustrations. 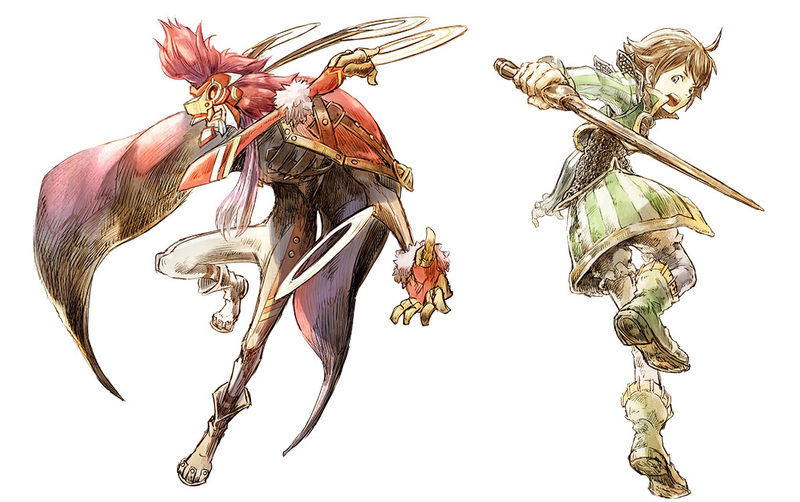 They also generally appear alongside other characters; chocobos and moogles usually come as a set. I took this opportunity of drawing them on their own to show the characters going about their everyday lives. 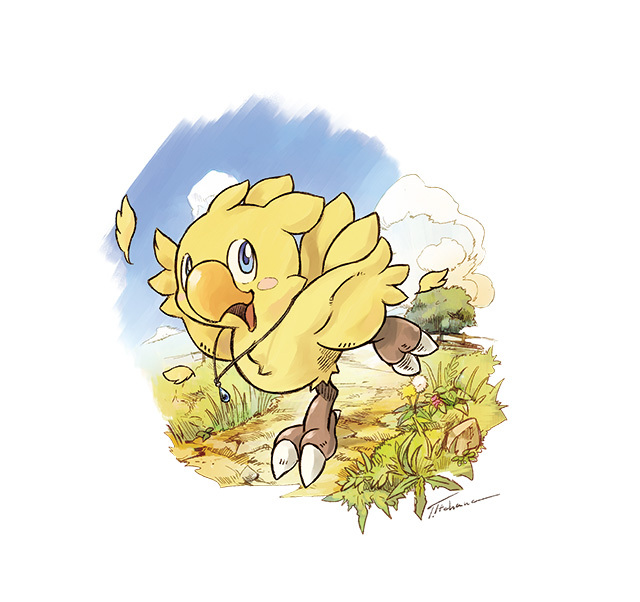 This is based on Chocobo after Chocobo’s Dungeon 2, trotting through a field wearing Shiroma’s pendant. 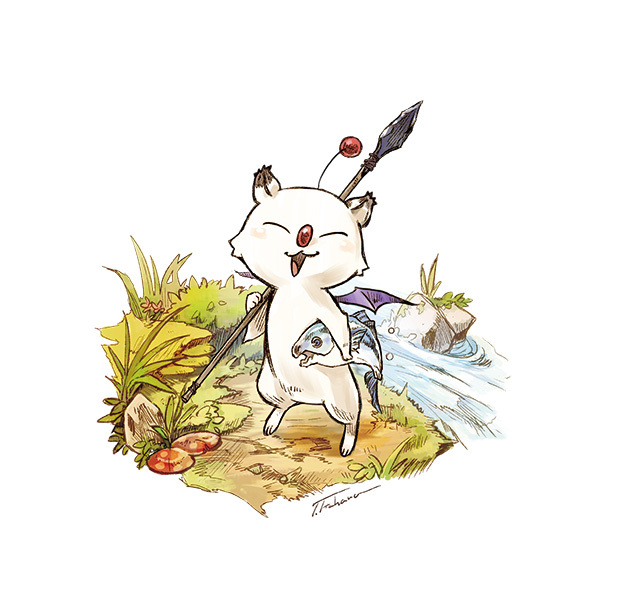 I depicted this moogle as if someone had happened to encounter him as he was gathering food. As you can see, he’s catching fish. [laughs] I know that a moogle’s head is generally a 1:1 ratio with the rest of its body, but I thought that would make it difficult to fish... I drew him this way for a more practical depiction of a day in the life of a moogle. 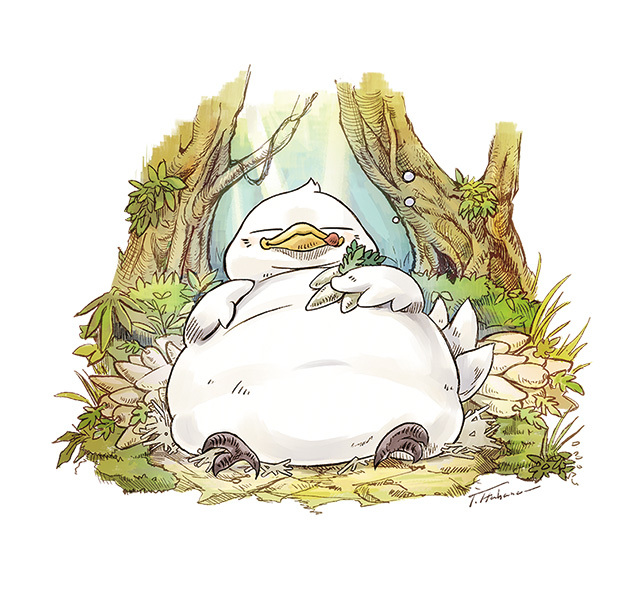 This fat chocobo is taking a nap deep in a forest, complete with food in hand. I worked on these just as I’d finished illustrations for the card game Chocobo’s Crystal Hunt, and I chose to go with a similar hand-drawn style. They should feel as though they’re taken from a picture book. I was told to do whatever I liked with the FFTCG request, so I tried a style that I couldn’t do otherwise. I opted for a picture-book style because like a book, you can hold these cards in your hands. ―So you chose a specific style and went with it. Was there anything else you were able to do because it was an FFTCG request? 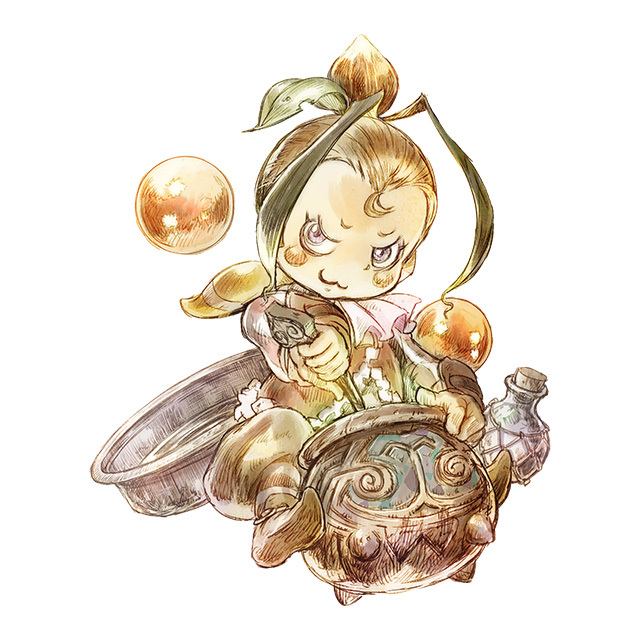 ―How did it feel drawing characters from FINAL FANTASY CRYSTAL CHRONICLES: Ring of Fates [hereafter FFCC: RoF], a game released over a decade ago? 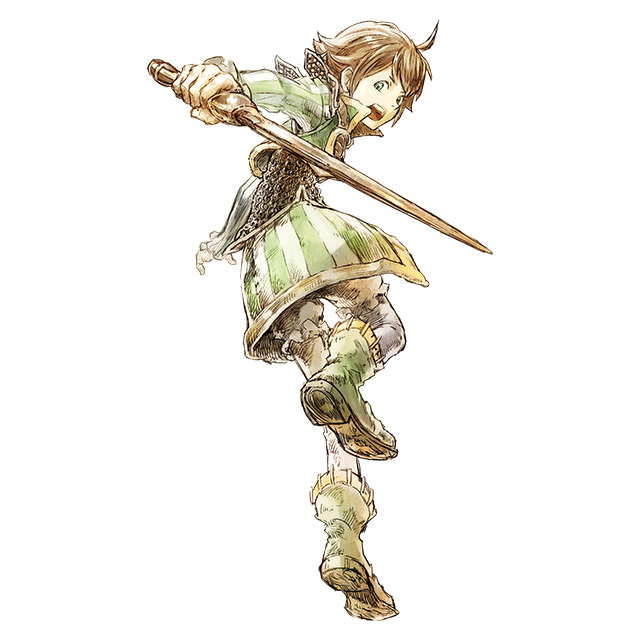 Itahana: In the original FINAL FANTASY CRYSTAL CHRONICLES [hereafter FFCC], the player was the protagonist. While each race had its various characteristics, there wasn’t anything unique about the main character. In FFCC: RoF, for the first time, the protagonist was a fully developed character. The subcharacters also had a lot of personality, so when working on the character design, I enjoyed drawing the characters as I’d imagined them to be. “This is what a sharp-tongued Lilty would look like.” For FFTCG, I focused on portraying their respective personalities, especially in their facial expressions. Yuri cares deeply about his twin sister, Chelinka, and is determined to protect her, so here he is mid-battle. Though the Clavat are a peaceful race that detests conflict, he was forced to grow stronger at one point during the story, which is something I’ve also tried to portray. I’ve arranged him with his back turned toward us, something I can’t do with pieces for reference. Speaking of arrangements, I drew Yuri and Cu Chaspel as if they were a set, with their backs facing one another. Meeth has a sharp tongue but is adorable. Her expression portrays her cunning nature. Here she is creating magicite, as she does in the game. The items in the picture are also from the game. Chelinka is one of my favorite heroines, definitely in the top three for characters I’ve drawn so far. The picture is a straightforward depiction of who she is: a sweet yet strong, scaredy-cat of a girl. And you can’t have FFCC without moogles. ―The style of the characters seems different than that of the mascots. Was that your original plan? Itahana: Yes, I went heavy on the hatching [a technique used to create tonal or shading effects] to add movement and avoided using many smooth lines. When I started drawing the outline, I liked the rough lines that looked like they were created by pencil, so I decided to do that throughout the entire piece. With the chocobos and moogle, the outlines are very clear, but with the illustrations I’m currently working on, I’m avoiding using outlines. I’ve ended up changing the style every time! If I have the chance, I’d love to do something analog, like a watercolor. One thing about FFTCG is that there’s a box of text describing the actions of the card covering part of the illustration, so my more recent pieces work around the window. ―Is there anything you struggled with? Itahana: Not really. I draw a lot of illustrations for various references with my current job, so I had a blast with this request because I worked on them as if they were fan art. I like board games and card games, so I wasn’t too concerned with the task. ―Who’s your favorite character from FFCC: RoF? Itahana: I like them all, but if I had to choose, it would be Meeth. She’s not an angel by any means, but is still lovable. There’s a scene in the game where Meeth is home alone, and she has a lone conversation welcoming herself home, and that’s when the protagonist walks in. It’s a funny scene that’s also sad... It’s the only time she shows weakness. I loved the dialogue, too. ―Which is your favorite illustration? ―I’d love to see more of what’s floating around in your head! Are there any titles you’d like to illustrate? ―It’s exciting to hear you’re currently working on more illustrations. I look forward to seeing them! Thank you for your time! The next interview will be with Roberto Ferrari and will feature original art from FINAL FANTASY Type-0. Don’t miss it! Toshiyuki Itahana’s original illustration of Chelinka is now a wallpaper! Download the wallpaper on the FF PORTAL APP! Download the FINAL FANTASY Portal App here! Find the store nearest you carrying FFTCG using our store locator! Read the interview with the FFTCG producer here!